A New Mexico firefighter was taken off duty, and eventually resigned, after it was found out that he told a 911 caller to "deal with it yourself". 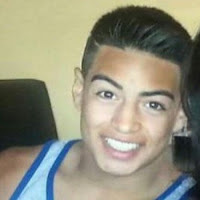 Jaydon Chavez-Silver was shot during a party on June 26. Police have said that he was simply in the wrong place at the wrong time. The firefighter, Matthew Sanchez, was on the phone with Jaydon's friend. He asked if the victim was breathing. The caller got upset with the questions and the firefighter told her to deal with it herself. Chavez-Silver was taken to the hospital where he eventually succumbed to his injuries. The Fire Chief has launched an internal investigation into the call. 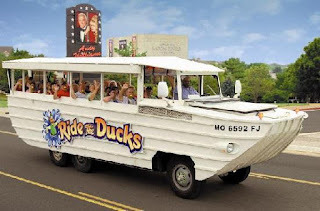 Everyone from the fire department is going to go through additional crisis training. Chavez-Silver's shooter has not yet been found, and they haven't named any suspects. A couple is going to trial for providing alcohol to a minor, who died in a drunk driving accident in North Carolina. Charles and Kimberly Matthews were hosting a wedding reception at their house. Johnathan Taylor(18) attended, got drunk, drove into a tree at 89 mph and died. His blood-alcohol content was .20 nearly two and a half times the legal limit in North Carolina. 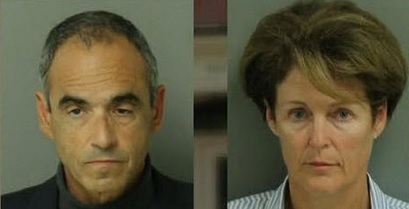 The Matthews are charged with aiding and abetting the consumption of alcohol by minors. Johnathan's parents are also suing the Wake County ABC Board and two other companies that either supplied or served alcohol to underage people at the reception. The Taylors are seeking $25,000 from each party for expenses and loss of consortium and companionship. The Matthew's son, Thomas(19), plead guilty to buying alcohol. He has been charged with a misdemeanor for the underage purchase of alcohol. Thomas bought a bottle of whiskey without being carded. 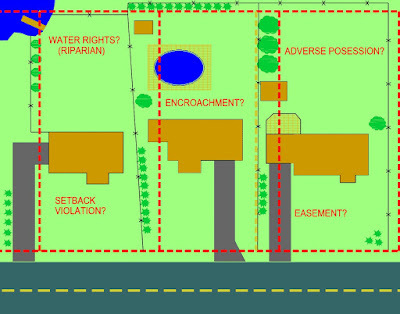 While I handle only personal injury cases and criminal defense cases, on occasion I am contacted by someone who is particularly irritated by a neighbor who has constructed a fence on the wrong side of the property line which separates the two; the complaining party is mad that he no longer has the use of that property. In one case I handled long ago, the neighbor had even pulled up the original fence posts and re-placed the fence posts 10-20 feet past his actual property line. This bad conduct involves the area of property law known as "adverse possession." Adverse possession is actually a type of trespass and theft that is actually allowed by the state government. 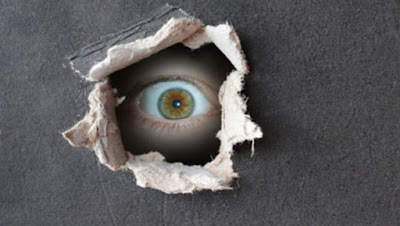 It basically means the bad neighbor has trespassed openly on that land for so long, not only is the government not going to stop him from doing so in the future, it will actually protect him from any future attempt of the guy holding title to the land to take that land back from him. Hurt by Family Member in Automobile Accident? ***********************************************************************************************************************Allen Browning is an attorney in Idaho Falls, Idaho who handles personal injury and criminal defense. He has over 30 years of experience and handled thousands of cases. Allen work with cases from all over Idaho. Call (208) 542-2700 to set up a free consultation if you are facing legal trouble or you have been involved in an accident.Also, check out browninglaw.net for more information about Allen and Browning Law.Allen Browning can help with all personal injury claims including motor vehicle accidents, serious and disabling accidents, and wrongful death claims. Allen Browning is an Idaho Falls attorney who can also help with drunk driving (DUI) , Felony, Misdemeanor, Domestic Violence, Drug Crimes, Theft, Juvenile Crimes, Violent Crimes, and Probation/Parole Violations. He is one of the most experienced and successful criminal defense attorneys in Idaho. Sears hired Alejandro Gamiz as a maintenance worker. In this capacity, Gamiz had access to fitting rooms and bathrooms during store hours and prior to the store's opening. Over the course of three years, Alejandro Gamiz recorded and uploaded videos of women and girls in a Sears fitting room and bathroom. More than 1,000 women and girls were filmed. Gamiz installed motion activated cameras inside of holes the size of pencil tips that make it difficult to detect. Sear fired Gamiz and he was arrested after his equipment was found. Gamiz was sentenced to one year in jail and three years of probation. A Los Angeles judge found that Sears can be held liable for negligence. The judge decided that the law states that Sears has a duty of care to protect customers and employees. The plaintiffs claim Sears was negligent in the hiring, supervising, and retaining of Gamiz. A former employee has also claimed that Sears retaliated against her when she spoke to the media and filed a complaint. Two women in California are in a battle over the custody of a tuxedo cat. 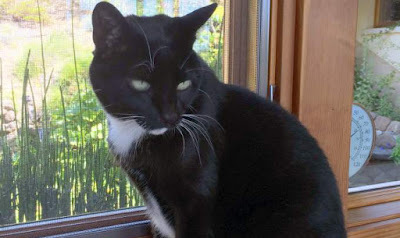 Tiffany Mestas tracked her cat through a microchip to the home of a retired nurse, Therese Weczorek, nearly seven years after the cat went missing. Mestas tried to get information about the cat in the previous years, but the company did not have any of the whereabouts of the cat until Weczorek tried to change the chip ID. Weczorek's attorney said that she adopted the cat in good faith five years ago from an animal rescue center(which turned out to be unlicensed). Weczorek took care of the cat and made sure he was happy and healthy. Mestas claims that Weczorek illegally adopted the cat. The state law says that the pet has to be scanned for identification before ownership can be claimed. In this case, that would revoke Weczorek's adoption of the cat. Allen Browning gives a brief explanation of trials. After 11 weeks of trial and less than 13 hours of deliberation, the jury for James Holmes - Colorado Theatre Shooter - has decided that he was guilty. Edith Suarez's husband, Hector, and twin daughters drowned at a man made beach in Texas in 2010. The two girls were struggling to stay afloat when they were ten feet away from the beach, so Hector went out to try to help them. All three were swept away. 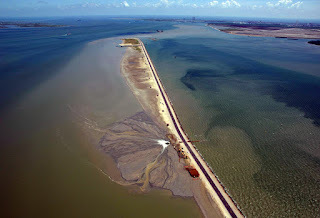 The dike has been open since 1963 and visitors are allowed to fish, boat, and hunt crabs, but swimming is only allowed in certain areas. Hurricane Ike in 2008 destroyed a portion of the dike, and not all of the warning signs have been replaced. Edith sued the city for negligence and gross negligence, claiming the city knew the dangers of beach. The city trial denied Texas City immunity, but the Texas Supreme Court reversed that decision. Texas Supreme Court ruled that Texas city cannot be sued for its "deadly undertows" from passing ships. 19 year old, Charise Kamps, was found raped and strangled to death in her apartment in June 1980. Ralph Armstrong told the police that both of them were at the apartment alone doing cocaine before leaving to go see friends around 9:30 pm. Police said that they learned that Armstrong owed Kamp's boyfriend $400 and witnesses saw Armstrong handing Kamps money that night. However, the money was not found in the apartment, and Armstrong deposited $315 in his bank the next day.The defense argued that he got the money from his brother. One of the neighbors saw a lean, muscular man about 5 feet 5 inches tall with long, dark hair drive up to the apartment. Before the identification process, the police had the witness hypnotized. He was shown a photograph of Armstrong, and After being hypnotized, the witness changed the height of the man he saw. 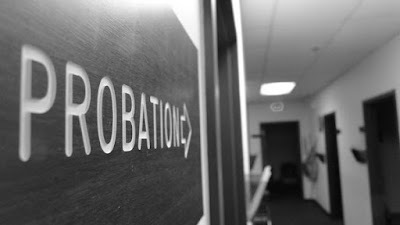 Probation is the suspension of a jail or prison sentence, on the condition the defendant agree to behave himself, engage in specific rehabilitation programs and allow himself to be supervised for a specific amount of time. Upon being sentenced, there may be some local jail time to be served, or the judge may suspend all of the jail or prison time, on the condition the defendant serve probation. Probation is an opportunity for the defendant to demonstrate he does not have to spend a long time in jail or prison in order to stay out of trouble in the future. Idaho Falls Attorney Allen Browning explains why lawyers may decide to hire an expert in personal injury cases. Allen Browning can help with all personal injury claims including motor vehicle accidents, serious and disabling accidents, and wrongful death claims. Allen Browning is an attorney in Idaho Falls, Idaho who handles personal injury and criminal defense. 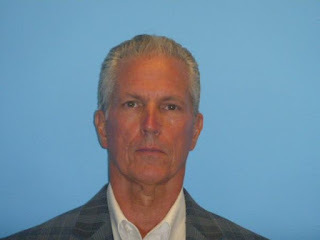 He has over 30 years of experience and handled thousands of cases. Allen work with cases from all over Idaho. Call (208) 542-2700 to set up a free consultation if you are facing legal trouble or you have been involved in an accident. Allen Browning is a lawyer who can also help with drunk driving (DUI), Felony, Misdemeanor, Domestic Violence, Drug Crimes, Theft, Juvenile Crimes, Violent Crimes, and Probation/Parole Violations. He is one of the most experienced and successful criminal defense attorneys in Idaho. 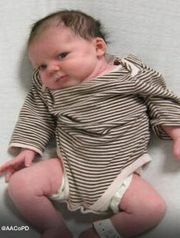 A six week old girl was found on the side of the road in Maryland in a car seat carrier. She was in fairly good condition when she was found. She was taken to a hospital to be treated for dehydration. The baby was taken to the local police department around midnight on Saturday and they began the search for the parents with the help of social media. On Sunday, they received a call from a woman who claimed to be the mother. The caller, later identified as Sandra McClary, said that the infant was supposed to be in the care of the child's father and she did not know the whereabouts of the child. McClary accurately description of the child over the phone and then identified her in person.